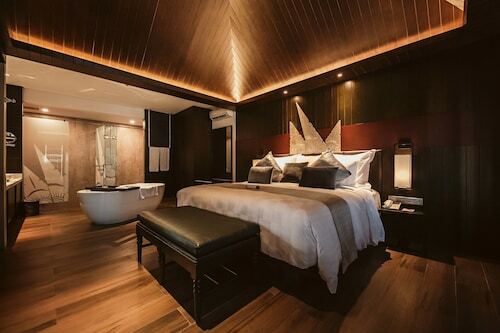 Ambience of the rooms are too dull.. Not enough lighting. Have stayed in the basic room and grand room. 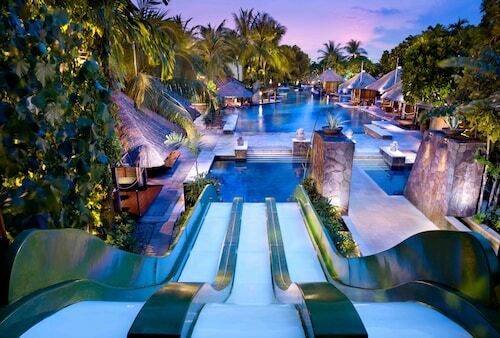 Prefer the basic room. Showers were better. 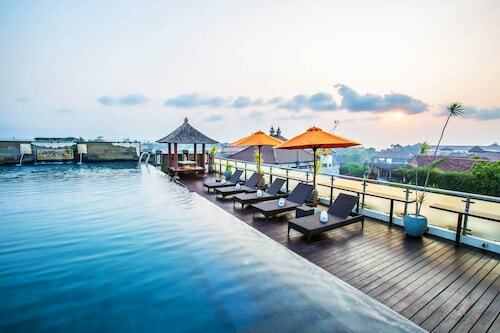 The world is brimming with fascinating things to get out and see, and Kuta Beach is one of the best. 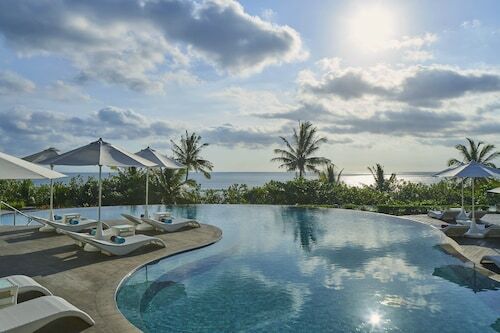 It is located in Kuta, 960 kilometres away from the country's capital, Jakarta. 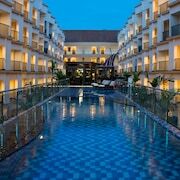 If staying within easy walking distance of Kuta Beach interests you, you'll have 104 accommodation options to select from. 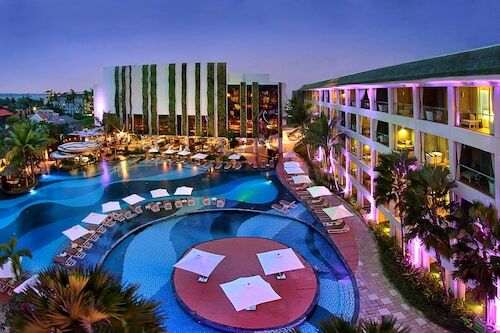 Why not have a look at the Sheraton Bali Kuta Resort, Discovery Kartika Plaza Hotel and Hard Rock Hotel Bali? Don't clean yourself out! 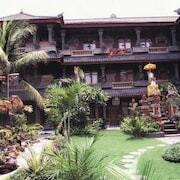 There's a number of suitable budget accommodations nearby. 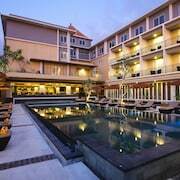 You could try the Green Garden Hotel or the Grandmas Plus Hotel Legian, 0.9 kilometres and 2 kilometres away, respectively. Don't be afraid to spoil yourself! 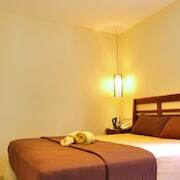 The immediate area has a fantastic range of beautiful upscale hotels. 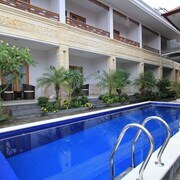 Check out the amenities at the Villa de daun, a kilometre away. Otherwise, the Sandi Phala is only a kilometre away. 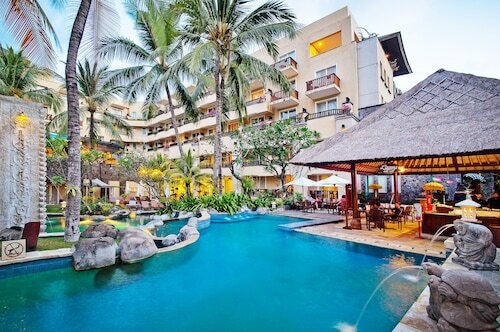 Before you explore Kuta Beach, chase down the smell of delicious coffee to Black Canyon Coffee - Discovery Shopping Mall. 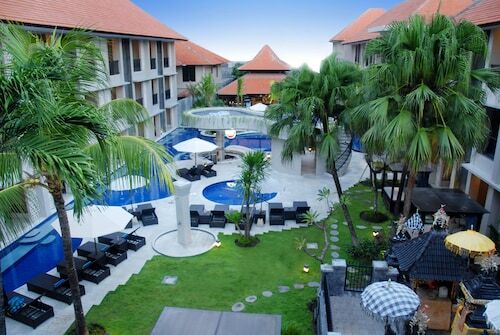 When you can't go another step before quieting your growling stomach, stop by Sheraton Bali Kuta Resort. Need a drink? TJ’s Mexican Bar & Restaurant is your best bet. Pick up something unique to take home as a souvenir or simply enjoy some local food at Kuta Art Market. Hordes of bargain-hunters head to Discovery Shopping Mall to give in to temptation. 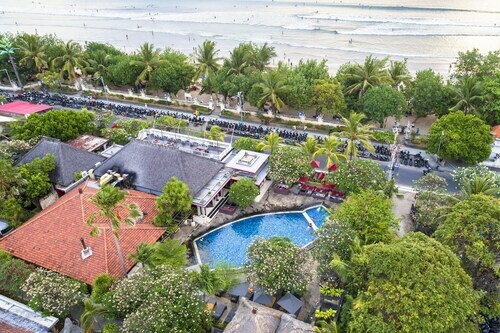 Generations of locals have met and enjoyed each others company at Kuta Square. Keep the long-established custom alive and pay a visit to the piazza. 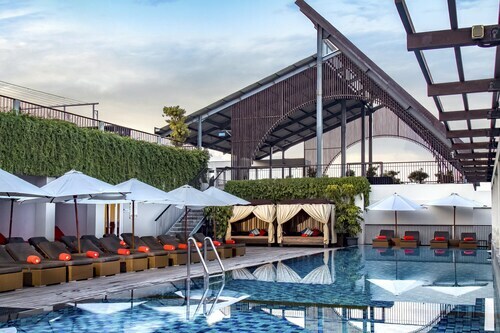 Treat your friends to an evening at Kuta Theater. Locate your seats and take in the show! Float around until your teeth are chattering at Waterbom Park, a destination where the whole gang can have a great time playing in the water. 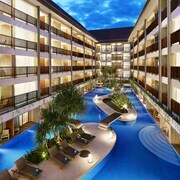 How Much is a Hotel Room in Kuta Beach? 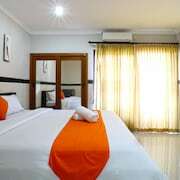 Hotels in Kuta Beach start at AU$36 per night. Prices and availability subject to change. Additional terms may apply.